Update 01/25/2018: Former Loyal3 customers should have received an email from Loyal3 around August 28th 2017 regarding tax documentation. The email asked you to verify your email and you could then retrieve your tax documents and June 2017 statement. Some readers reported never receiving this email. The tax documents were said to be available only until January 31st 2018. If you did not receive the email, can’t find it, or need any assistance, contact support@Loyal3.net. This contact information was provided at the direction of Folio Investing. Update 01/06/2018: Finally, there’s a no-fee online broker ideal for former Loyal3 customers. M1 Finance announced in December of 2017 they have eliminated all fees for all investors. It’s now the best free investing platform for long-term investors. It’s way better than Loyal3 ever was, because you have access to all stocks and ETFs. Check out M1 Finance. Now 100% free for all investors. Awesome on mobile or desktop. Read a detailed M1 Finance review here. Loyal3 customers received an email last night (04/18/2017) with the news that accounts will be transferred to an online brokerage platform called FolioFirst. The new platform is built specifically for Loyal3 customers. The move will be effective May 22nd, 2017. The email to investors was vague on the transaction details but does contain all the information we need to move on. Based on what’s in the email and how these things work, it seems Loyal3 is selling their customers and folding. There was no mention of IPOs in the email. It is safe to assume that the kind of IPO investing pioneered by Loyal3 will not be carried over to FolioFirst. I’ll be transferring my account holdings to a 15-year-old account at TD Ameritrade. I’ve been consolidating accounts anyways. I’ve only kept my Loyal3 open for IPOs. Bear with me while I update and remove references on this site. This announcement came unexpectedly, but it’s not entirely a surprise. The lack of IPO activity over the past many months was perhaps a canary in the coal mine. The At Home IPO (HOME) was the only IPO last year, and that deal was originally struck in late 2015, according to the S-1. 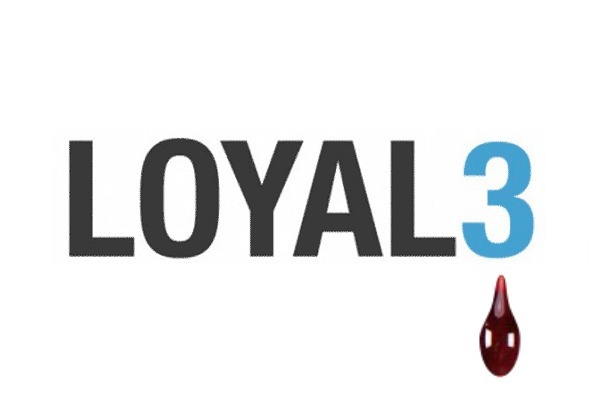 It is possible Loyal3 has been in an internal death spiral since the founder, Barry Schneider, left in January of 2016 for “personal reasons”. He was the champion behind the concept that the company, the customer, and the shareholders (the ‘3’ in Loyal3) are stronger together. Schneider’s exit happened not long after the most anticipated and exciting IPO on the platform, the Square (SQ) IPO, was a huge success. But let’s not forget, Loyal3 collected no fees from their customers. It was a free place to buy and sell stock. The company supposedly collected revenue from the companies listed on the stock trading platform, but it clearly wasn’t enough. IPO underwriting was another revenue stream. We know all too well how that dried up. We also saw an attempt to pioneer a new kind of partnership with T-Mobile (TMUS). Together they created the ultimate customer loyalty program, giving T-Mobile shares to loyal customers. Who knows how that deal pans out from here (update). That must not have generated enough revenue either. Not helping Loyal3’s pole position in providing IPO access to ordinary investors was Motif Investing. Motif splashed in the IPO scene in late 2015 with a partnership with J.P. Morgan. This announcement came during the anticipation of the Square IPO when IPO excitement was peaking. But Motif isn’t getting many IPO deals either. Perhaps the biggest nail in the coffin for Loyal3 was Robin Hood. The well-funded startup built a phone app-only platform for trading stocks commission-free. Free real-time stock and ETF trading for all equities is far more attractive than batch trades for just 75 stocks at 2 pm every day. Millennials took note and flocked to the Robin Hood platform to buy stocks like Snap Inc.
Robin Hood has a lot to prove. But venture capital believes the story and so does Robin Hood’s customers. Though no commission-free broker has ever survived. Access IPOs was born out of the excitement and profits of Loyal3 IPOs and the fanfare of the Square IPO. But IPO investing is bigger than one broker or deal. Fewer companies are going public. More are staying private for longer. That’s a fact we’re dealing with. Large online brokers such as Fidelity and TD Ameritrade will still continue to provide access to IPOs for large account balance customers. So IPO investing isn’t dead. You just need to build your account balance before getting access. And despite yesterday’s disappointing news, there’s still plenty to be excited about. For one, a new startup called ClickIPO is building a mobile platform on which ordinary investors will participate in IPOs using a smartphone app and their existing brokerage account. Read my introductory analysis of Click IPO here. It’s a promising company. However, as we’ve seen with other startups, big underwriters and IPOing companies often leave the little guys out. If ClickIPO can offer value to the underwriters, the model has legs. Investors certainly have the appetite. One thing I’ve learned writing about IPO investing for the past few years is that the process is complicated and inefficient. I believe ClickIPO’s solution addresses many of these inefficiencies. In addition, the JOBS Act of 2012 has opened up huge new opportunities for very young companies to access funding through Reg A + IPOs and equity crowdfunding. ShiftPixy was the most noteworthy Reg A+ IPO on the Motif platform. Its first attempt at a Reg A+ IPO failed. But it looks like they may give it another go. Loyal3 had plans to offer Reg A+ IPOs too. Investors aren’t pushovers. These companies need to show viability and strong business models. Equity crowdfunding is like an initial public offering too. Just not in the traditional sense. Investing in even younger companies is certainly risky, but perhaps the trend will catch on once we see the first juggernaut a la Facebook (FB) or Google (GOOGL) come out of it. Loyal3 didn’t build anything revolutionary. It was a simple online broker running a two batch programs each day allowing investors to buy and sell 75 stocks commission-free. It could also handle IPO processing. Most of the big brokerage houses could already do that. But Loyal3 changed how companies should think about IPOs and who can invest in them. Many of us profited from IPOs on the Loyal3 platform. And for that, we thank Loyal3 for helping small-time investors gain access. Unfortunately, it didn’t last. Maybe companies going public didn’t see the value in offering allocations to their customers. Or perhaps the loss of Loyal3’s founder was too disruptive to the business model. Maybe there just weren’t enough IPOs in 2016. In any case, the model was flawed. The death of Loyal3 doesn’t mark the end of IPO access for ordinary investors. When there’s demand, someone will find a way to deliver. Investors still crave IPO access. Access IPOs will continue to help you find it. Great Article. I had a loyal3 account and was looking for a replacement when I came across this article. Thank you for the informative layout of a changing industry.